This is an excerpt from "Energy EFT - Energize Your Life"
© Silvia Hartmann 2012/2016. All Rights Reserved. Energy EFT Emotional Freedom Techniques is a wonderfully simple and likewise, immensely profound method to remove blockages to success, health and happiness in our lives and to quite literally, re-energize us so we have the energy, the power, the inspiration we need. Over the last 15 years, millions of people from all around the world, from all walks of life, old and young alike have found Energy EFT to be a reliable, easy way to help themselves and others with problems of all kinds in a whole new way. This new way really is a new way. Energy EFT may be using energy points and places that have been talked and written about for at least ten thousand years, but the way in which we apply modern Energy EFT is something that has never been done in the history of humanity before. In this way, Energy EFT opens the doors to experiences we have never had before and this is tremendously exciting. When we apply Energy EFT to our problems, not only do the problems go away, but there is more. We learn that we can become energized; that where there was fear, now there is courage and pride; where there was sadness and grief, now there is the freedom; and where there was anger and hatred, there can be love. There is still more to it - when our emotions change, so do our thoughts and our bodies, as well. When we feel energized, powerful and happy, our thinking becomes clearer, more logical; we gain access to the powers of our mind. Likewise, when we are energized, our bodies become happier; they feel stronger, healthier, lighter and younger, too. After all these years and all these experiences, it is still most wonderful to consider that so many good things can come from something as simple as Energy EFT. All we have to do is to remove energy blockages from our energy body, and then go on to improve the flow of energy even further, and we really do become more energized in every sense of the word. What is also wonderful about Energy EFT and what sets it apart from the ancient forms of emotional control through energy work is that Energy EFT is so personal for each one of us. Instead of having to think and meditate on “off the peg” ideas or stand in a row to think the same thoughts and do the same movements as everyone else, we get to work with our own individual problems and challenges instead. We get to choose what we want to treat, what we want to deal with; we get to have our say what we want out of life at last. Each one of us is highly individual. We were born all different to start with, and then our life experiences went on to shape us, make us more and more different with each day that passed, with each experience - good and bad alike - that was had. So it stands to reason that each one of us has our own challenges, and our own order and sequence in which to approach these challenges as we go through life. For some, Energy EFT can help with health; for others, relationships are the most important issue. Someone else might want to address memories that haunt them first of all, and others may have life long problems with stress, addictions, low self esteem, sadness, grief or anger. Energy EFT allows us to direct its effects wherever we want to start, and whatever we want to apply it to. This is truly revolutionary and it is also what makes Energy EFT so immensely effective. Further, we don't have to wait around for the next “sacred circle time” of therapy or healing with Energy EFT. We can use Energy EFT at any time, anywhere we go; and therefore, we can treat the daily upsets and the “stuff” that happens on an ongoing basis, again highly personalised, as and when we need it. Energy EFT is quite literally in your own hands. Once you have learned the simple protocol, you own it; it is yours and it is yours to use, any time, anywhere. There are no expensive machines involved; there are no repeat prescriptions. Energy EFT is yours to use forever, and freely share with others too, and all it takes is ten minutes to show someone what to do and where the treatment points are. What a wonderful gift - we can hardly begin to appreciate this completely. If you are new to Energy EFT, we can also tell you that it gets better and better with practice and experience. Even though Energy EFT can help you feel better right away, especially if you don't stop too soon and keep tapping until you feel really energized (this is a core part of Energy EFT Energy! ), this is still only the beginning. When we apply Energy EFT, we quite practically step into a whole new world of possibilities and potential, far beyond the mere symptom cessation we currently crave. In this book you will find the new Energy EFT Heart & Soul Protocol, all the instructions and exercises you need to get started with Energy EFT, as well as many examples how to apply Energy EFT for different problems and challenges directly, simply and with excellent effect. Energy EFT works with real people who live in the real world, today, in the 21st Century. These are very different people to those who lived 6,000 years ago; we have challenges and experiences those who devised the ancient ways of working with energy could not have foreseen in their wildest dreams. We eat differently, act differently, think very differently and the range of problems we face on a daily basis were completely unknown back in the day when people lived in little villages, worked on farms and had their life's paths mapped out from the cradle to the grave, reliably. Even if you had no luck with some of the older methods around, take heart and give Energy EFT a fresh start. Allow yourself to become fascinated by the Energy EFT protocol, how it feels and how it affects you. Pay attention even to small sensations, shifts and movements in your thoughts, body sensations and emotions - you are learning not just Energy EFT, but important new things about yourself, how you work, how mind/body/spirit interact and influence each other in your own particular and absolutely unique case. There are many wonderful aspects to the practice of Energy EFT; that we start understand ourselves better and as a result, gain a better relationship with ourselves in the process is high on the list of benefits. In this spirit, be gentle with yourself; follow the simple instructions, pay attention to your own stress levels and start by treating stress first of all so you are in a calm and curious state of mind when you start your own exploration of Energy EFT and now, let us no longer delay and find out more about Energy EFT, how it works, and how you can make it work for you. All human beings have an energy body. What exactly one particular person's energy body is like, we do not know as we can't see or measure the energy body. and it has many energy flows and energy channels that transport energy in, through and out the energy body. In order to function properly, energy must flow freely into the energy body, through and out. Sometimes, the flow of energy becomes blocked. Please note how the blockage doesn't just affect the direct erea1 of where it is located, but how all the energy flows are being disturbed and disrupted because of it. Energy blockages have all sorts of side effects and really throw the mind/body/energy body system out of balance. When the blockages are cleared, a person starts to feel different, better and more energized. Emotions change, thoughts change, and many other things change as a result. When there is positive, powerful flow of energy through the energy body, we experience positive emotions - happiness, personal power, feeling good, feeling compassionate, feeling loving. When the flow of energy in the energy system is disrupted, we feel negative emotions instead - stress, panic, anger, sadness and all the many different ways the real feelings in the physical body that are our emotions have been labelled. When we tap on the energy points to improve energy flow in the energy body, we can unlock energy blockages. Energy flow improves, and we start to feel better. We tap some more to improve the energy flow even further - and we get to feel even better still! It is that simple, and because it is simple and true, Energy EFT works so well and has helped so many people overcome so many problems. Thereby, instead of trying to undo the thoughts or memories in some way, which has been attempted by millions in therapy for many years and with highly unpredictable results, by working with Energy EFT at the real source of the problem, with the energy body, we finally have a real tool to “make us feel better” - for the first time in recorded human history. As you will see, this simple yet profound discovery doesn't only make perfect sense, it has also proven itself in practice - there are now tens of thousands of therapists all across the world, daily relieving clients of all kinds of long standing problems using variations on this idea, successfully, predictably, time and time again. And just as importantly, there are many, many more individual people who are using Energy EFT to help themselves feel better all around the world today. Theory and conscious understanding is all good and well, but you don't really begin to appreciate the truth of how amazing and wonderful Energy EFT is - until you have experienced it for yourself. In a moment, we're going to learn how to do basic Energy EFT, and you can pick any stress, limitation, fear or feeling that bothers you and try it out for yourself. What Can We Treat With Energy EFT? Energy EFT works by unblocking the flow of energy through the energy body. This gives us a different perspective and a different way to address old problems, and this is very important. Energy EFT can be expected to make significant changes in all problems that have their root in the energy body. This includes first of all, all forms of emotions. the conditions in the energy body. Real emotions have a physical component. This means you can physically feel sensations of trembling, pressure, heat, churning, pounding, fluttering and so on in your physical body. These are messages from the energy body, transmitted through the physical body so we can do something about them, just the same as stepping on a rusty nail would hurt in the physical foot. As so little was known about energy and emotions, people in the past didn't understand the connection between emotions and movements in the energy body. With Energy EFT, we can reliably and predictably improve energy flow and that will cause us to “feel better” in the literal sense of the word. Treating emotional disturbances, emotional stress and emotional pain is the first and most important application of Energy EFT. Many if not all human problems have some form of emotional disturbance attached to them. For example, when someone gets physically sick, they can also become scared and unhappy. When we work with Energy EFT to improve their emotions about being sick, and we improve the flow of energy through their energy body, we might not be healing their sickness, but we will make them feel better. We will also release a lot of emotional stress from the whole person, so the body stands a better chance of repairing itself more quickly. Energy EFT does not treat physical illness. Energy EFT can only treat the energy system components of a problem; but in doing so, many positive effects can happen. Likewise, Energy EFT does not treat physical pain. However, physical pain often has an energy or emotional component to it; when we release this with Energy EFT, the experience of pain changes. This can lead to pain reduction, or the pain being experienced differently; we can't say in advance how the application of Energy EFT will affect any one person. We can certainly say that it is worth trying Energy EFT on everything. The energy body aspects of any problem we have has never been addressed at all, and here is a whole third of the mind/body/spirit triad which is awaiting exploration. Energy EFT can bring forward movement into many, many stuck problems and can surprisingly solve many more. We can also learn a lot by applying Energy EFT to our problems. At the very least, with the emotional disturbances out of the way, we can get to a much more rational assessment of what else needs to be done to completely overcome a problem. Energy EFT is thereby not a miracle cure that can heal all ills of mankind, but it is a new approach that can bring surprising results and forward movement into all sorts of old, stuck problems. Energy EFT uses major energy centres and special energy points or meridian points to stimulate and improve the flow of energy through the energy body. 0 = The Heart Centre. This is where we start and finish our round of Energy EFT by placing both hands flat on the centre of the chest in the Heart Healing Position and take three deep breaths in and out. 0 = And to finish the round of Energy EFT, back to the Heart Healing Position where we take three deep breaths in and out. The Energy EFT treatment points are stimulated by tapping lightly on them. Start with the Heart Healing position and tap all the points from the Top Of The Head to the Karate Chop point, ending up with the Heart Healing position at the end, right now to get the feel of doing Energy EFT. Remember to breathe deeply throughout and move towards finding a rhythm between the tapping and your breath so that the Energy EFT round flows easily and smoothly all the way from the beginning to the end. A single Energy EFT round is from Heart Healing to Heart Healing, with all the points from the Top of the Head to the Karate Chop point in between. The most important part of any Energy EFT treatment is to tune in on a problem correctly so that we know what we are tapping on. To direct the unblocking effects to the required erea, we focus on the problem. This can be done in various different ways, some of which we will discuss later. The simplest way of starting with Energy EFT is by using a statement of the problem, for example: "I am afraid of spiders." It is important to note at this point that the statement is not to be confused with an affirmation (see also Energy EFT & Affirmations in the A-Z of Energy EFT). The energy system is a very complex environment. Each problem has its own unique address in that energy system - there is a blockage that corresponds to the problem. We need to get to this one specific blockage rather than all the other many places, and we do this by consciously thinking towards the problem or “tuning in” on the problem. When we think about or tune in on a real problem, we can immediately notice that our feelings - the real sensations in our bodies - start to change. This is the sign that there really is a problem, and it is affecting us physically as the energy body transmits how it feels through the medium of our emotions, the 6th sense of feeling energy movements that have no physical origin. We then start tapping from the top of the head down, and on each point we tap, we can say the set up again, “I am afraid of spiders,” or we can use a shortened reminder phrase, “Spiders” to keep us focused on the problem as we tap the whole round of Energy EFT. The more simple, forthright, direct and truthful we can be in stating the problem, the more effective the Energy EFT treatment becomes. Here are a couple of stories to illustrate this point. After a demonstration of Energy EFT for a Weight Watchers group, a lady tried Energy EFT with the set up of, "I'm not as thin as I would like to be," and said that she felt nothing when she tapped. When she was asked to consider if that was really what she thought when she looked in the mirror, and she shook her head and whispered, "No, I think I'm a fat cow." When she tapped using that set up instead, the shift was extreme and the release visible to all and joyful in its intensity. She has since reported that this moment constituted a true turning point in her life and she has never thought about herself in such negative terms ever again since that day. Another lady who was pregnant and afraid of giving birth, used the statement, "I am apprehensive of the forthcoming event." Again, nothing happened. When she was asked to find a better description that would ring more true to her, she came up with, "The truth is that I'm scared to death of giving birth." Tapping on this provided her with the release she so desperately needed, cured her backache and headache on the spot, and allowed her to continue forward with her pregnancy without further problems. In a moment, take a little time to think about a problem that you have, a pain, a fear, an illness or perhaps a phobia, something that always makes you depressed when you think about it, just generally any negative emotion you are happy to release now and forever. Choose a set up statement that rings true to you, choosing simple, direct words that make sense to you. We have discovered in the long term use of Energy EFT that when people are stressed, they say and think and do and feel all sorts of things they wouldn't say, think, do or feel if they weren't so stressed. What we have here is a flood of “stress talk” - none of it is really true, none of it has any relevance or information about the real problems of this person, and none of this stress talk makes a good Energy EFT set up statement. Everybody starts to think crazy thoughts when they are too stressed. Under stress, everyone will generate what seem to be endless negative statements, and in the past people tapped and tapped using set ups from such stress talk and found little relief. We have learned that in order to get a good Energy EFT set up statement which clearly and precisely describes the problem so we can solve it, we need to de-stress first. As soon as we start to de-stress, we can think more clearly. Using Energy EFT to take off the top levels of stress first and before you formulate a set up for “the real problem” avoids doing many rounds on meaningless stress talk and gets you better results, every time. Stress is always a sign of blocked energy flow - the energy body becomes de-stabilised and that shows up in crazy thinking, irrational emotions and also in “body stupidity” such as clumsiness, shaking, becoming uncoordinated. When we tap Energy EFT, we remove blockages from the energy system and improve the flow of energy, and that lowers stress immediately. 99.9% of all people and even children in the modern world are much more stressed than we realise, and they are stressed all the time. When stress becomes too high, we quite literally go crazy and can't help but make very bad decisions, think “fool thoughts” (such as, “Nobody loves me!”) and experience all sorts of very disturbing emotions, from anger tantrums via panic attacks to crying fits. In the past, people didn't realise just how much stress is to blame for all kinds of malfunctions in mind, body and spirit. Many people still walk around today thinking they have “low self esteem” when in fact, they're just stressed quite literally out of their minds. Using Energy EFT to alleviate general stress is one of the healthiest and best things you can do for yourself, and teach others too, including friends, family and even young children. Very importantly, when we remove the disturbance of stress, we get to find out what our real problems are and we can get to work on them with Energy EFT quickly and precisely. A student on the Energy EFT Master Practitioner course likened this to melting away the snow so you can now discover the real rocks that were hiding underneath. We strongly recommend that any time you use Energy EFT, start with a round or two to simply reduce stress, which will put you in a much better position to come up with good set ups to treat what is really a problem in your life. ... which directs the treatment to the right place in your energy body. It is perfectly OK to start feeling feelings in your body as you make the set up statement, to feel angry or sad or low all of a sudden as you “tune in” to the problem. These are the exact emotions we are going to be releasing by applying Energy EFT to them, and these emotions are going to change for the better as we do our rounds of Energy EFT. Pay attention to the feelings in your body which tell you what's going on with your energy system. If you are tuning in on a very disturbing problem with a high emotional charge, please de-stress more first if you are afraid or you are becoming overwhelmed. For very extreme emotional problems, we highly recommend you find a good Energy EFT practitioner to be by your side. No-one expects even the greatest dentist in the world to extract their own molars all by themselves; it is just common sense to seek assistance with extreme problems that cause so much stress that you can't be expected to deal with it all alone. Seek assistance for extreme problems - it's the right thing to do. Following the Set Up, we now tap all the points, starting from the Top of the Head and ending up with the Karate Chop Point on the hand, followed by assuming the Heart Healing position again for three deep breaths, in and out. The reason for repeating the reminder phrase is that we can get distracted very easily; by repeating the reminder on each point we stop ourselves from thinking about lunch, the next appointment or how the weather has changed and make sure the tapping goes directly to the problem you're working on. Once you know where the points are, the entire round of tapping should take no more than about 3 minutes, unless you feel a strong urge to stay longer on one particular point which can sometimes happen. A note: As you start to tap, your feelings change and sometimes they change so much that you want to start changing the reminder phrase in the middle of a round. That is perfectly OK and a good sign that the problem is already changing, evolving. A great way to ascertain from yourself or others just how you feel is to put a number on it. The technical term is taking a SUE Level or SUE Scale reading, which stands for Subjective Units of Experience. ... where would you rate what you are experiencing at this moment? Where are you on the SUE scale right now? A tip: Sliding your finger over the scale and paying attention to what “feels right” can be a very helpful indicator. how much do you love this person? how true or untrue is this statement? Before you begin tapping for any subject or problem, take the time to take a SUE rating and make a mental note of it. Then, when you have completed a round of Energy EFT, check the SUE scale again to find how much has changed. This is also a good way to be able to assess how well the treatment has worked and if you need further rounds of Energy EFT. Sometimes, the problem can go from -10 to +10 in a single Energy EFT treatment round. This is also known as the “EFT One Minute Wonder” or the “EFT Miracle” and it's awesome when that happens. More often though, you start with a -7, and after a round of tapping, the severity is reduced to a -3 or -2. This means that the situation is evolving but there is more Energy EFT to be done. Also, and this is a unique feature of energy work, we don't stop at the “zero point of nothing” but we want to IMPROVE energy flow into the positive wing of the SUE scale. That's where we really start to feel better, come to life, and get close to “living life with a full battery,” as one person described it. Using the SUE scale helps keep your Energy EFT treatments on track. It's a great way to measure your stress, measure your improvements, and to make sure you don't stop too early when just one more round could turn the Energy EFT treatment from mere pain relief into a really exciting, energizing, healing experience. A tip: Use the SUE scale for one week to test your stress levels every day and tap to improve the flow of energy until you feel good and empowered, a high positive on the + side of the scale. This will really help you develop a much better understanding of how stress and energy flow interact, and will make for a much better week. "I still have some of this problem." This takes you to the positive side of the SUE scale as you are starting to feel positive emotions as the energy flow improves. ... or any positive phrase, want or desire that comes to your mind. Really pay attention to how good it feels when energy flows better and enjoy the sensations! And that's it! Energy EFT is as simple as that. There's no need for you to worry about getting it wrong, or getting the wrong set statement. All Energy EFT you do is good for you! Any Energy EFT you do stimulates the energy system, improves energy flow, releases old energy blockages, relaxes you, calms you and makes you feel better. With practice, you'll get much better at spotting good set ups and your Energy EFT will go from strength to strength. 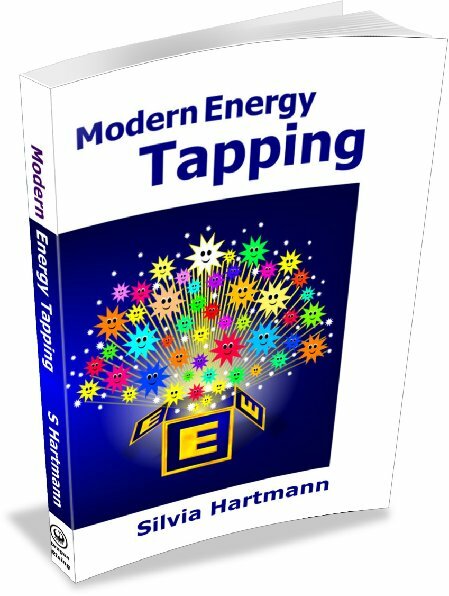 You might have heard and read many Energy EFT stories about people tapping for something, and then something amazing happened. Not only did the problem disappear instantly, there was a moment of enlightenment where everything changed. Not only had the problem completely disappeared, the person was amazed and excited, quite literally jumping for joy. It is precisely these kinds of Healing Events that have inspired so many people to take up Energy EFT and want to share this joy with other people. What was so mysterious before has become quite simple. It's just like finding the one light bulb in a chain of Christmas tree lights and giving it a little tap and in an instance, there is a bright flash as all the lights come on when there was only darkness before. The Healing Event is the biggest difference between energy work and other forms of therapy. Every time we tap Energy EFT, we always seek a Healing Event. When we improve energy flow step by step using the SUE scale and bringing it up higher and higher, one tap at a time, one round of Energy EFT at a time, a Healing Event has to happen eventually. It structurally can't not happen - once energy flow reaches a certain level, that breakthrough has to occur and the Healing Event comes into being. When that has happened, the problem as it was will never come back in its old form. It really is solved, once and for all. We can say as well that until the Healing Event has happened, the problem isn't solved completely, it can come back and then we have to tap on it again. We always seek the Healing Event, but that doesn't mean we have to be disappointed if it doesn't happen in the first couple of taps, or even in the first session. As long as we keep improving the energy flow, we're heading in the right direction, towards the Healing Event. A single point movement on the SUE scale towards the positive side and the +10 is a step in the right direction. 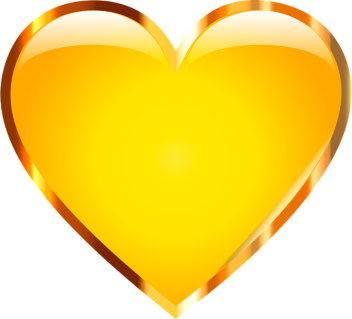 Keep improving the energy flow, and the Healing Event will have to come in the end. It's great if that happens in one tap, or one session; but it is just as good if it takes two or three sessions. Keep improving the flow of energy, and you're heading in the right direction towards the Healing Event, that enlightenment moment of real change which is the hallmark and the gift of modern energy work. For practice, now have a go at improving your energy flow with Energy EFT. Start by finding a number of how stressed you are overall, right now. Now do a full round of Energy EFT, starting and finishing with the Heart Healing position, with the Set Up of “Release stress!” and the reminder phrase, “Stress” as you tap on each point. Breathe deeply in and out as you tap slowly and mindfully. When you have completed the round of Energy EFT, check your level on the SUE scale - what is your number now? Repeat until you get into the positive side of the SUE scale. Pay attention how this makes you feel, the real feelings in your body. Practice this simple stress -> calm -> feeling positive basic Energy EFT treatment. It will teach you how to do Energy EFT. Once you have learned how it works, you can then apply Energy EFT to your specific problems. It is your energy hands tapping on your energy body which is doing the work in Energy EFT. To know this helps to activate your “healing hands” and improves results. Tapping “harder” isn't going to help. Pay attention to the feeling of the contact between your fingertips and your body; tapping should feel pleasant and relaxing to you. Experiment with how tapping feels best for you personally. Tap lightly and rhythmically, using your index finger. Breathe deeply in and out while you tap. Always take time for one deep breath in and out between points. Keep relaxed as you tap. Loosen your shoulders, relax your face, your neck and your arms, your wrist, hand and fingers as this helps with energy flow. Move your body a little to keep it loose and relaxed as you tap. Instead of tapping, you can also stimulate the points by massaging them gently, and simply by touching them. and a round of Energy EFT where you place your index finger on the points and breathe in deeply on each point. Massaging and holding the points can be a good alternative if you have a headache, for example, a toothache, or you would like to reflect deeply on a topic. If in doubt, just tap. There are three things which can help improve energy flow when you are doing an Energy EFT session. When we become stressed, we start breathing irregularly and shallow; reminding yourself to breathe deeply really improves energy flow. Sometimes it can be very beneficial to step outside for a moment of breathing fresh air, or opening a window to let some fresh air in. Move your body, relax your shoulders and neck. Sometimes it really helps to get up and shake out your hands and feet to encourage energy flow; but in general, pay attention to any parts of your body that feel locked up, tense or tight. Taking a moment to make movements to “unlock” tight muscles and sinews can really help your Energy EFT sessions along. The third tip is to have some water handy and drink a few sips in between treatment rounds. This also helps to wake up your body and your energy system and adds extra fresh energy as well as avoiding getting dehydrated if you are doing a number of Energy EFT treatment rounds on a particular problem. Step 1 - Name the problem, clearly, directly and truthfully. Step 2 - Take a SUE reading of how bad it is right now. Step 3 - Assume the Heart Healing Position, take three deep breaths in and out and say the set up statement out aloud.. Step 4 - Repeat the set up statement or a shortened reminder phrase and say this on each point as you tap from the Top of the Head to the Karate Chop point. Always take one deep breath, in and out, before moving on to the next point. Step 5 - Return to the Heart Healing position and take three deep breaths, in and out.. Step 6 - Take a new SUE reading. Any movement up towards +10 is good! Subsequent Rounds - Choose a new set up to remove any remaining energy blockages so the problem goes down to zero. Then - Do more rounds of Energy EFT to improve the energy flow beyond zero and into the positive wing of the SUE scale, all the way up to +7 or above. You have learned how to do Energy Energy EFT!